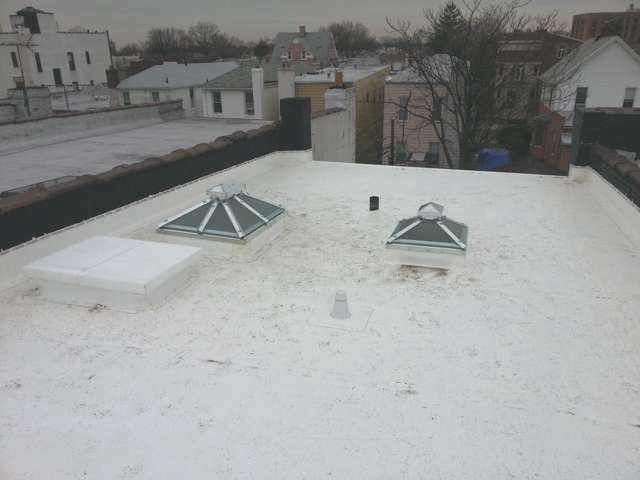 New York City and surrounding areas are comprised of homes and buildings with flat roofs – and these flat roofs leak! This happens for many different reasons, but mainly because the roofing materials used on these roofs are for the most part rubber or asphalt based rolled. All of these materials use some sort of adhesive to bond the seams (overlaps) and flashing, and adhesive breaks down with time. These roofing materials loose their integrity and water-tightness in a matter of years after installation and require either repair or complete replacement. IB PVC Flat Roof – 33 + years of proven track record, with no material failures, and unique HOT-AIR welded seams installation, and full line of flashing accessories, make IB PVC Roof the best choice for any flat roofing project. Roofing Price Calculator – estimate IB Roof installation cost, and compare it to other flat roofing materials, such as Modified Bitumen, Rubber Roofing, etc. Commercial Flat Roofing – using IB Roof in commercial / industrial roofing projects – UL certifications, Commercial Labor + Material warranties, etc. Residential Flat Roofing – IB Roof is the only flat roofing material on the market with a Lifetime Residential Warranty and it really will last the as long as you home stands. Flat Roof Repair – learn what you need to know when your flat roof leak, so that you make the correct decision in how to fix your leaking roof, without wasting your budget. Also includes DIY roof repair guide for flat roofs. PVC Roof Repair – See how even a 25-30 years old PVC roof can be easily repaired within minutes, by simply welding a new patch of PVC material. PVC roofs can be repaired in the summer or in the winter, over dry or even WET surface, under light rain or snow! Hot-air welding process does miracles, and you can stop your roof leaks, extend the life of your roof without costly roof replacements. Rubber Roofing – why we recommend that home and business owners use caution when considering replacing or installing a rubber roof. 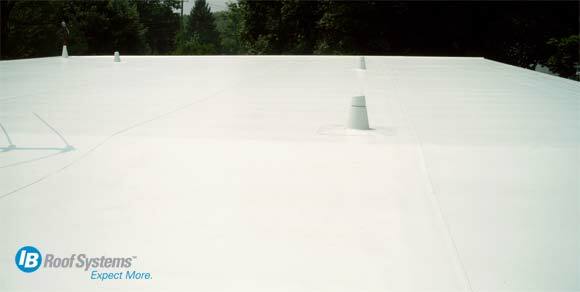 Rubber roof installation requires to use chemical adhesive (glue) which fails within years, and causes costly roof repairs, unlike PVC’s hot air welded seams which is a permanent physical bond between to sheets of PVC membrane. Also, see how rubber roof installation training works, why rubber roofs leak so often, and why you should really check out the roofing contractor, who installs rubber roofs. Our roofing crew in NYC is factory trained and approved by IB Roof Systems, and is experienced in installation of IB PVC roofing, Metal Roofing, and flat roof repair (EPDM Rubber, PVC and TPO roofs). Fill out the estimate form below, and our Roof Estimator will contact you promptly. Are there any IB PVC ROOF Installers in New York City ?